For 18 years now, the USA Memory Championships have challenged competitors — “mental athletes” — to stretch the limits of their minds to memorize and recall names and faces, random digits and words and decks of cards. Each year, competitors break each others’ previous records, and the competitive air is almost palpable. But what’s at stake in memory competitions anyway? Who goes to them and why? Take a minute to think of all the phone numbers you have memorized right now. I can tell you just five, and one of them includes my own. And then I’m out. Chances are, you can’t think of too many either — and why should you? Our phones record stuff for us, or it’s just a quick Internet search later. It’s incredible to have almost limitless information at our fingertips. But is it actually making us smarter, or more efficient at using the information? 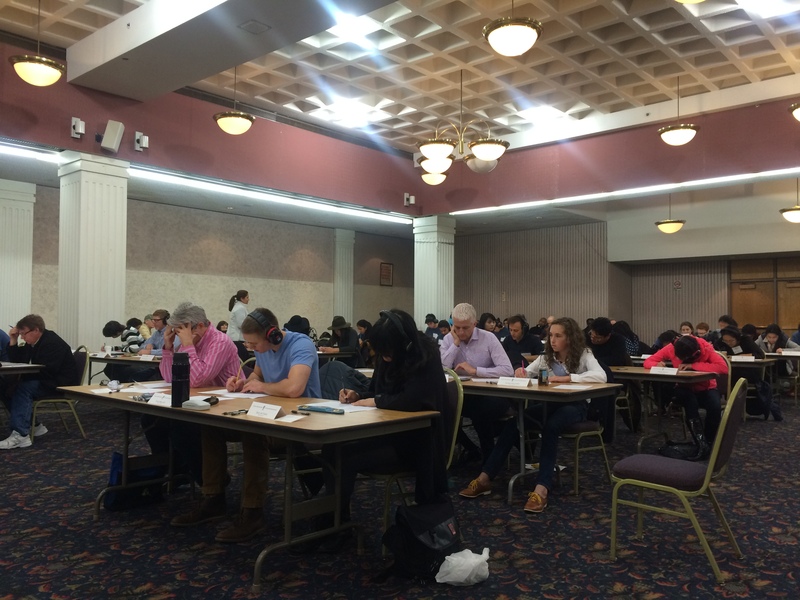 It may not be, says Robert Ajemian, a neuroscientist who spoke about the importance of memorization skills at the 2015 USA Memory Championships held on March 29 in Manhattan. During a brief interlude at the competition, Ajemian explained how although it may feel antiquated in the digital age, our ability to recall information may be hugely important for creativity, and ultimately the longevity of other cognitive functions. “You’re almost taught in our society not to memorize any naked facts … but to some extent, that’s defeating the purpose,” he later told me. Just like we make sure we’re physically active to keep our bodies healthy, it’s important to exercise the brain, too. Ultimately, with the influence of technology our memories may get weaker and weaker over time — unless we actively try to keep them engaged. 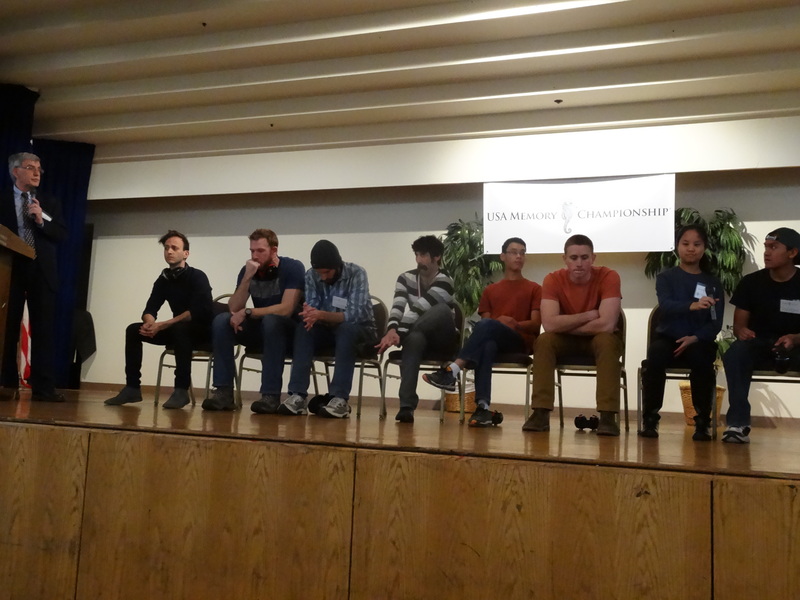 And during the Memory Championships, memories are not only engaged — but flexed to the extreme. Teenagers and adults braved their way through the cognitive marathon, memorizing names and faces, rows of numbers, free verse poetry and decks of cards. After approximately eight hours, the returning champion Nelson Dellis won the final round, having memorized all but three cards from two randomized decks. As a layperson, it was incredible to watch, and I felt like I had just lost some genetic lottery. But according to Ajemian, most of the competitors, including Dellis, actually have average memories: the trick is in the training. Have you ever felt like you knew the name of a person or thing, but it was just on the tip of your tongue? That’s because the ways in which we remember things have to do with different kinds of associations, Ajemian explained. We hardly ever remember facts out of context; we usually associate them with something else, like a feeling, activity or a different object. According to Dellis, most memory competitors use some variation of this concept. They usually focus on different types of mental exercises called the Roman Room, which is also known as the Method of Loci or the journey method. With this method, you envision an intimately familiar setting for yourself, like your bedroom. Then, you mentally “walk” through the room, and pair every object within the room to the thing you’re trying to remember. Later, when you visualize the same room, when you see each object, the new association will come back to you. Other techniques utilize the alphabet, where each letter has a base word, like “apple” for “A,” “butler” for “B” and so on. You can match those words with the ones that you’re trying to memorize. It may be helpful, too, to create unique sentences with those two words; any additional association you have can help with the recall later. It’s these associations that Ajemian says are so useful for certain kinds of creativity. “Creativity is when you arbitrarily associate one thing with something which is not normally associated with that thing,” he said. Although this is only one kind of creativity, most of the memory techniques used to remember entire decks of cards or random words mimic this idea. Technically, memorization skills aren’t linked to preventing any kind of cognitive decline later in life — like dementia or Alzheimer’s — but Ajemian thinks that it can’t hurt our chances to fight it early. “In the same way that by exercising more frequently you ward of physical diseases, by mentally exercising your mind … I have no doubt that will help ward off or at least retard the onset of mental diseases,” he said. Each year, the USA Memory Championships are open to anyone to compete; all you have to do is register and pay a small fee. And even though it may seem like a fruitless endeavor when we have digital tools to do it for us, forgotten memory skills may have an important benefit to our cognitive health. Nelson Dellis wears many hats. He’s a software developer, a mountaineer and runs a charity that raises money for Alzheimer’s research. But most famously, he’s a memory athlete: He’s won the USA Memory Championships four times, and routinely places in the top 10 at the world competition. I sat down with him to learn more about how he got into the memory business, and what techniques he uses to stay sharp. Quite a special angel to read memory, worth reading! Besides very nice share on the reason of our daily memory problems. Highly recommend.